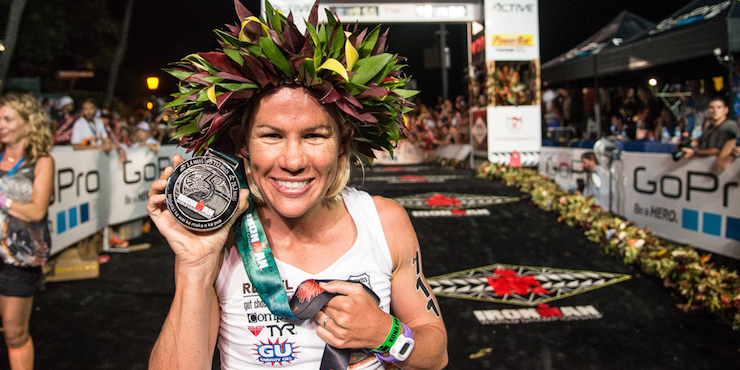 Huge congrats on your Ironman 70.3 finish! Whether this is your 1st Ironman 70.3 or a seasoned veteran, you should be proud of your accomplishment! Now it's time to change your focus to recovery. Focusing on recovery can help your body recover faster, and if you have another event planned, to resume regular training sooner. Here are a few recovery tips from my own experience over 50+ Ironman 70.3s, 25+ Ironmans, and 40+ Marathons. You can stop at the local drug store and get a Muscle Milk or a Quest protein bar. 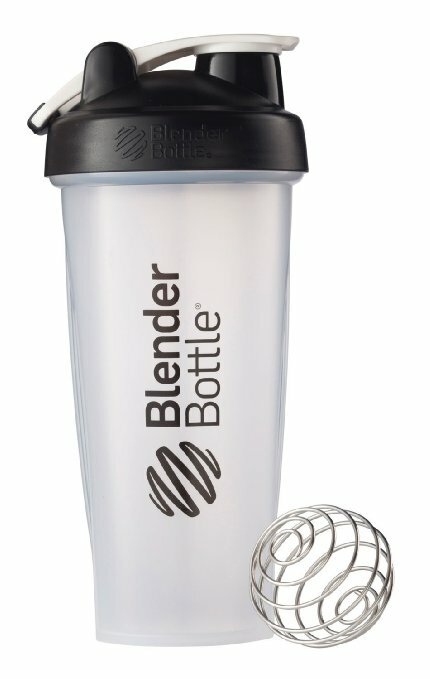 I prefer to put some plain whey protein isolate (20g) + 1 scoop of Base Amino (10g) in a Blender Bottle. Whey is very quick absorbing and easily digestible, but Base Amino is free-form amino acids that are immediately ready to be used by the body without any further breakdown. Take another shake at night before you go to bed and one more the next morning. Personally, I continue this pattern for 3 days post race but if you want some real protein too then go with it! #2 - Keep moving - Don't sit for extended periods of time. Take frequent short walks to keep the blood moving thru the legs so toxins can be expelled. If you have a long drive home then try to walk a few steps while at the gas station and again when you get home. If you have a long flight get up mid-flight to walk around. #3 - Avoid caffeine - caffeine is going to add further stress to the system. Avoid or reduce intake if you can. I know this will be impossible for some but trick your mind with some decaf. 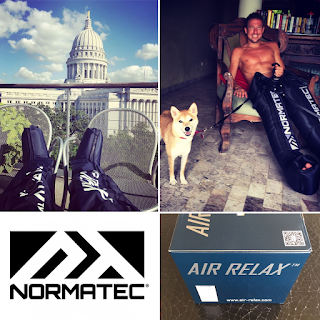 #4 - Sit in recovery boots. 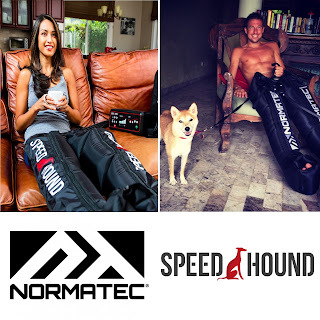 If you own a pair of recovery boots then sit in them for 30 minutes post race and again before going to bed. If you don't have a pair then think about investing in a pair. They are an awesome tool! 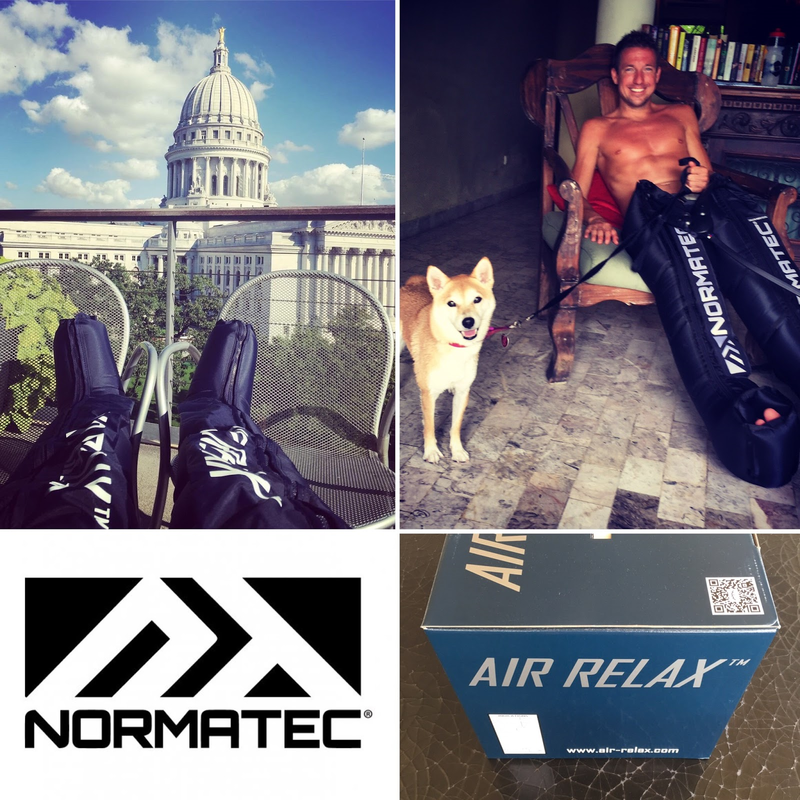 Here is a short comparison on two units I have and continue to use daily: Normatec ($1395) Vs Air Relax ($370). #5 - Drink lots of water - if your urine is dark then you need to be drinking more fluids, but you also need to drink water to help flush the toxins. If using the boots or getting a massage then remember to drink a glass of water afterward. #6 - Take a nap - The more naps the better. Don't think of naps as being lazy, think of them as aiding the recovery process. #7 - Avoid NSAIDs and other painkillers as they are going to be hard on your system. If you need something for pain look to natural anti-inflammatories like Bromelain, the enzyme in Pineapple that is a natural anti-inflammatory. You can buy and eat Pineapple or just buy Bromelain itself which is extracted from Pineapple. It also aids in the breakdown of proteins which will further the rebuilding process. My recommendation is this Source Naturals 2-pack. 240 tablets in total. #8 - Limit Exercise - walking is great, swimming is great, spinning is good, some very light and short runs are ok. The key is to listen to the body. If you are used to wearing gadgets maybe leave them at home this week. Don't be afraid to go by feel in the week post race. 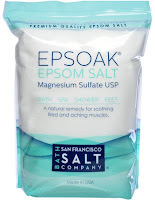 #9 - Take an Epsom Salt Bath - Epsom salt can help relieve general soreness from delayed onset muscle soreness (DOMS). DOMS is what you are feeling when you feel that pain in your quads or calves and especially when walking down the stairs. Epsom salt can help relieve that pain naturally. Pour a generous amount of Epsom salt into a warm bath and soak for 15-20 minutes. bloodflow and helps with DOMS. #10 - Be cognizant of germs - The long race + travel can really wipe out your immune system. Pay attention to washing your hands. #11 - Roll it out. You might be too sore after the race or even the following day, but use a foam roller as soon as you can. 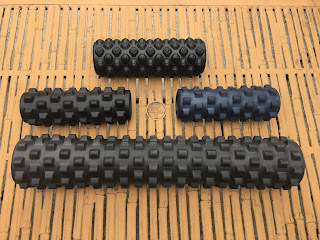 Using the foam roller helps to break up adhesions, scar tissue, and to continue to promote blood flow back to the tissues while expelling waste. If you don't have a foam roller, you might consider making the investment. Personally, I love my rumble roller Rumble Roller. It is rough at first but once you use it consistently your tissues will become more supple and you will never use anything else again. I have the long version for home use (black, firm), and a short version for travel (blue, soft). Lastly, if you are a triathlete, endurance athlete, or marathoner, I have set up a FREE Q&A group on Facebook. It will always be FREE. As a long-time age-grouper I spent way too long determining what information I could trust and what I couldn't. As a TRUE student of the sport I have learned a lot, remain open-minded, and realize that so many people disseminate information blindly and then bad myths become lore. I am hoping to shed some light and simplify things for people. Feedback is always appreciated.